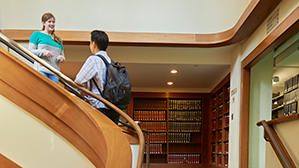 The Law School’s global and international law program integrates world-leading research with the preparation of students to make major impacts in a world that is fast-changing, increasingly interconnected, and often contentious and challenged. Our faculty and curriculum are unsurpassed, with about 50 courses, seminars, clinics and other experiential classes each year covering the spectrum of core “public” and “private” international law fields; economic law topics such as international trade, investment, finance, taxation and dispute resolution; Environmental, Social and Governance (ESG) topics including human rights, social entrepreneurship, oceans and climate law, and governance innovation; and major specializations in international arbitration, global tech law, cybersecurity, national security and humanitarian law, and international law history and theory. NYU Law’s global law work is strongly interdisciplinary, integrating faculty expertise in economics, sociology, anthropology, history, and philosophy. The new Guarini Institute for Global Legal Studies, founded in 2018, extends and raises to a new level the international law programs and initiatives at NYU Law that have long made the Law School a leader in global legal innovation. 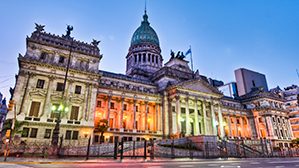 It facilitates student experience in NYU Law Abroad, including its platforms in Shanghai, Buenos Aires, and Paris and international moot courts. The Institute also sponsors the International Conference Series; works jointly with numerous NYU Law centers including the Jean Monnet Center for International and Regional Economic Justice and its Emile Noël Lecture Series; and integrates the scholarship of the Law School’s Global and International faculty. 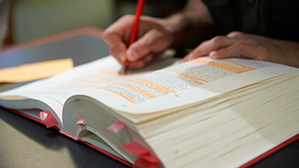 Its major substantive programs include interdisciplinary study of transnational legal and regulatory issues and of the technology-driven transformation of legal services and global legal practice, ensuring that graduates are equipped with the skills that will be at a premium in a legal profession that continues to evolve. The pioneering Hauser Global Law School Program is in its third decade of bringing faculty, fellows, and students from around the world to teach, study, and collaborate in New York. Hauser Global Scholars are graduate law students selected from around the world as future leaders across the fields of legal practice, public interest, government, and industry. Hauser Global Fellows are academics, lawyers, government officers, and postdoctoral scholars from around the world who spend up to one year in residence at NYU Law working on personal research projects. Hauser Global Faculty are renowned international academics and practitioners who specialize in a wide range of legal subjects and are invited to teach specially designed courses, conduct research, and interact with each other and with faculty, students, and alumni. Hauser Distinguished Global Fellows are notable intellectual figures who visit the Law School for two or three weeks, and share their expertise with the community by giving lectures and contributing to other educational and scholarly events. The Hauser program also provides valuable global research tools for scholars and students.